Fri., Sept. 7, 2018, 8:57 a.m.
A GRIP ON SPORTS • The most famous football player in Florida State history died yesterday. 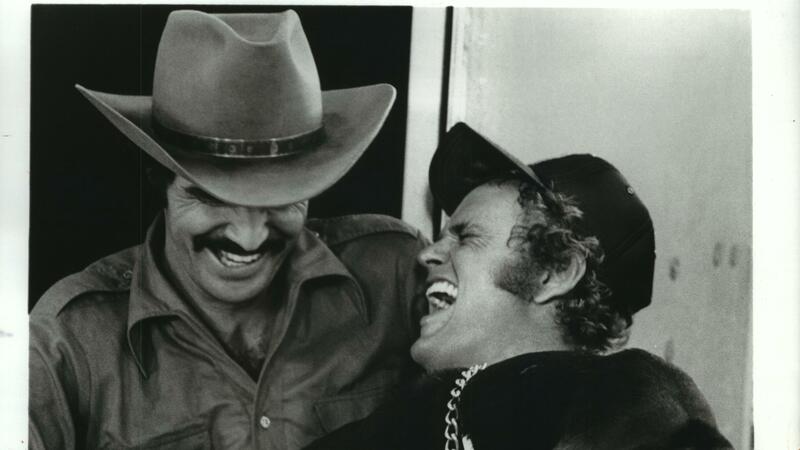 And Burt Reynold’s passing brought back a bunch of memories, from “Deliverance” to “Evening Shade.” But it is a couple of his sports-based movies we want to recall here. Read on. • Burt Reynolds wasn’t my favorite actor, but I have to admit, with the chest hair and the mustache, he was the one in the 1970s who I imitated the most. He did it better, though. Just like he was a better football player. It’s well known Reynolds played at Florida State, where he was a running back and Lee Corso’s roommate. And he portrayed a football player in two movies from my high school years, one revered, one somewhat reviled. “The Longest Yard” was the former, an anti-authoritarian 1974 movie that featured, in my eyes at least, a star turn by Ray Nitschke and the first appearance, as far as I remember, of Jaws, Richard Kiel. 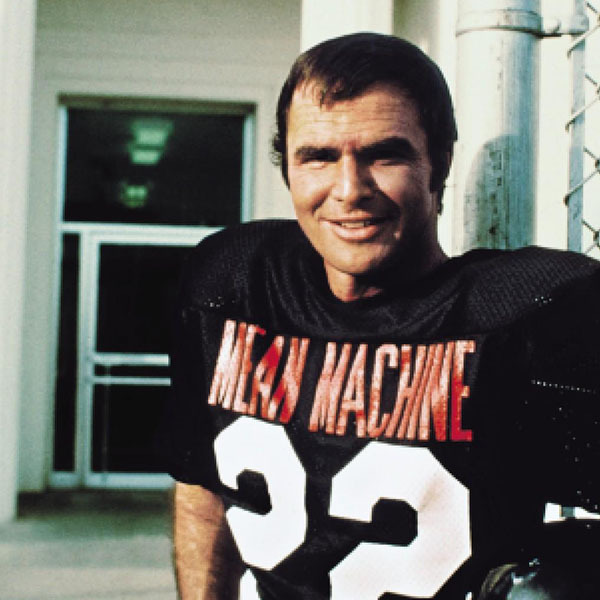 But Reynold’s portrayal of Paul Crewe, the former NFL quarterback stuck behind bars, made the movie. Yes, the movie was a ripoff of director Robert Aldrich’s “M*A*S*H,” but it was fun. And the bad guys won. It was “Semi-Tough,” though, that I loved. Well, the book anyway. The movie? Reynolds was fine as Billy Clyde Puckett, author Dan Jenkins’ anti-hero. 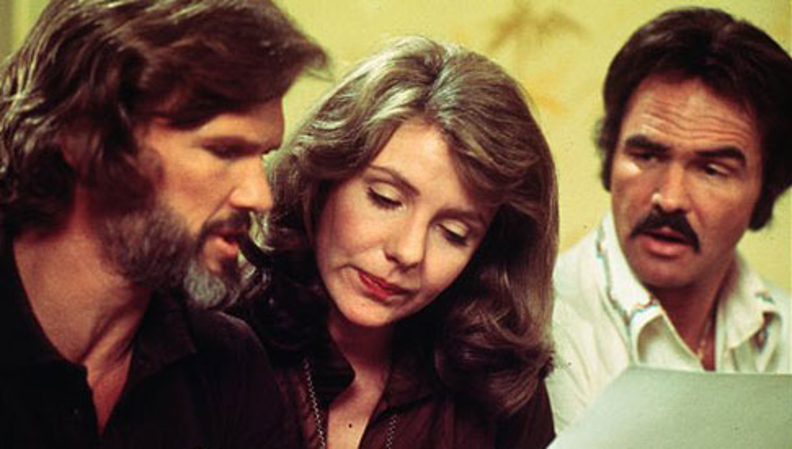 And Jill Clayburgh was OK as Barbara Jane, though there was a bunch of actresses around in 1977 that would have been better, but were left behind because Clayburgh was such a box-office draw. The weak link was Kris Kristofferson who, for a country-western singer, was a bad actor. Stiff doesn’t begin to describe Kristofferson. You could use him to stir a pool full of daiquiris. There were some fun smaller roles, though, with Carl Weathers fresh off playing Apollo Creed, Roger E. Mosley, Thomas Magnum’s helicopter pilot, and Too Tall Jones. Remember “For Love of the Game,” the Kevin Costner movie that was ostensibly about a pitcher throwing a perfect game late in his career but was instead a romantic date movie? Right? And how you set there in the theater feeling ripped off by Costner, again? “Semi-Tough” was the ‘70s version of that movie. It really was about the romantic triangle between Billy Clyde, Shake and Barbara Jane. Talk about bait-and-witch. Or bait-and-switch. Whatever. After finally talking someone off the UC Irvine women’s tennis team to go with me, she ended up liking it more than I did. And liking the movie more than me. What a bummer. I went home and read the book. Again. • The Seattle Storm are back in the WNBA finals, facing the Washington Mystics. The run to the championship series has been a big deal in Seattle, but is nothing new for Sue Bird. Facemask or not, she is still one of the best players in the world. And one of the more successful. The series with the Mystics – always makes me think of a Van Morrison song – should be fun. WSU: Brothers playing with or against each other in college football is nothing new. But it is fun. Theo Lawson takes a fun look at the relationship between Washington State’s Patrick Nunn and his brother Leki, who plays for San Jose State. … Theo also has post-practice video of defensive coordinator Tracy Claeys. … Larry Weir previews Saturday night’s game with Cougar announcer Matt Chasanow. It's the most recent Press Box pod. … San Jose State is playing a couple of Pac-12 teams this season, not just WSU. … The Cougar volleyball team is undefeated and Taylor Mims is a big reason why. Jim Meehan has this excellent feature on Mims. … The soccer team won the battle of the Palouse over Idaho, 3-0. Elsewhere in the Pac-12, Washington coach Chris Petersen wouldn’t talk about Trey Adams. But Husky offensive coordinator Bush Hamdan did talk about what he wished he did better against Auburn. … The big news out of Corvallis yesterday was the “retirement” of Oregon State baseball coach Pat Casey. He sure didn’t sound like a guy who will stay retired. I get that. … In football, the Beavers are still deciding on a quarterback. … Oregon expects to have a linebacker back this week. … California travels to BYU. … Stanford has an early test with USC. … Colorado features the conference’s defensive player of the week. … Utah will have to figure out a way to stop Northern Illinois’ Sutton Smith. … USC is hurting up front on the offensive line. … UCLA needs more speed on offense. … Arizona State is a popular upset pick. EWU: Northern Arizona was better last season than most people thought. And they did it without one of the best receivers in the Big Sky Conference. But Emmanuel Butler is back for his senior season and will await the Eagles in Flagstaff. Ryan Collingwood has more. … Eastern’s offense is foremost on Northern Arizona’s mind. … The volleyball team lost at East Carolina. … Around the Big Sky, Portland State knows the challenge it faces against Oregon. … A Montana State player is dealing with a DUI. … One player exemplifies Weber State’s turnaround. Idaho: Dennis Erickson has a special place in the hearts of Vandal football fans. And vice-versa. With Erickson about to be inducted into the University of Idaho Athletic Hall of Fame, John Blanchette spoke with Erickson about his career and the role UI played in it. … This year’s team has a pair of safeties that direct the secondary. Peter Harriman has more in this feature story. Indians: A sixth-run fourth inning propelled Everett past host Spokane 8-3 last night. Dave Nichols was there and has this game story. The teams meet at Avista today at 1 with the North Division title on the line. … In the South, host Eugene eliminated first-half champion Hillsboro and awaits the Everett/Spokane winner. Chiefs: Spokane lost to Seattle 3-2 in Kennewick as preseason play continued. … The Chiefs signed another forward to their roster. Mariners: The M’s were off last night but they face a big series with the New York Yankees this weekend. Bigger for others than for them, though. … Is Mike Zunino catching his last few games for the Mariners? Should he be? Seahawks: It could be a long season. It could be a productive one. One thing is for sure, it will be crucial for Pete Carroll and Russell Wilson. … Brandon Marshall will have a bigger role than most thought. … The new offensive coordinator had some things to say yesterday. … There was a new injury. … Speaking of injuries, this story will do another one to the Hawks' reputation. Sounders: Chad Marshall had his red card overturned. Published: Sept. 7, 2018, 8:57 a.m.